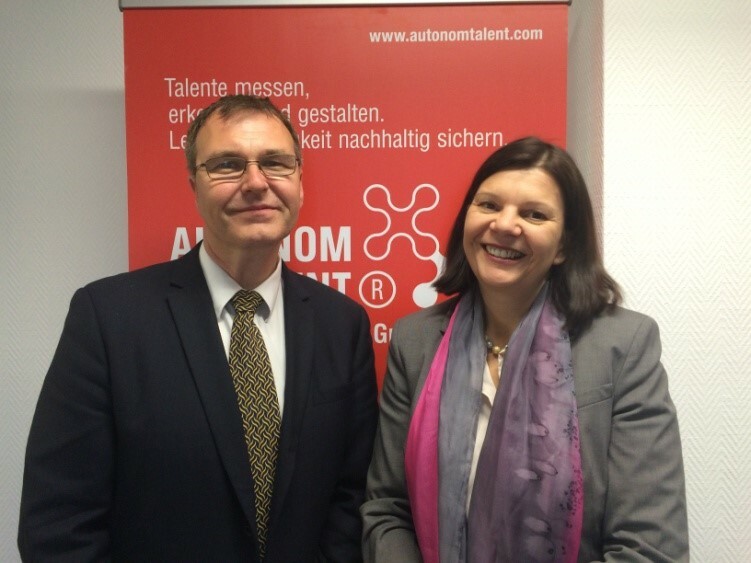 On April 27, Prof. Cameron Newton of Queensland University of Technology gave a thrilling lecture about the newest insights of HRV studies in organisational psychology, while visiting AUTONOM TALENT®. Stress has a different meaning for everyone. This is nothing NEW, however a modern approach is necessary to master current challenges, as for example increasing digitalisation. 50 years ago, the Austrian-Canadian scientist Hans Seyle introduced the notion of stress in psychology to describe the physiological response of various biological systems to excessive demands. “Stress” has become a general term for strain and pressure. Initially the term stress only described what happened to a body when put under pressure. The stress reaction of the body is not harmful to one’s health by itself and the different phases are sometimes even felt positively in the form of increased performance. Psychological stress reactions depend on the individual points of view and on the perception of the environment and are therefore linked to the cognitive evaluation of the stress factor. The cognitive evaluation can take place in three different forms, each of which have a different function. The primary evaluation has to do with the individual concerned confronting his or her environment and his or her perceptions of well-being. The secondary evaluation has to do with how the individual views both his personal resources and the threats/opportunities presented by the stressful situation. Subsequently, given this cognitive and emotional confrontation, a re-evaluation can take place, one leading to a new perception of the person-environment-relationship. Prof. Newton presents us a new definition. Richard Blonna (2006) has based his definition on a holistic approach: “Stress is a holistic transaction between an individual and a potential stressor resulting in a stress response” (Blonna). Stressors can be based on professional, role based, social, emotional or personal factors. Prof. Newton stated further that targeted interventions following an objective heart rate variability measurement can have a great effect on a more conducive and better way of dealing with pressure and stress reactions. The heart rate variability (HRV) is the ability of the heart to continuously adjust the time interval from one heartbeat to the next as it seeks to adapt to continuously variable challenges. The regularity of the heartbeat depends on the interplay between the sympathetic nervous system and the parasympathetic nervous system. The human organism is exposed to a flood of continually changing environmental demands during the entire day. Our performance depends directly from our ability to set the body up for challenges in stress phases (sympathetic nervous system) and to come back to a relaxed idle state after this phase has passed. The aim is to find the optimal balance for master the challenges of everyday life with our ability to perform and recover. A long-term study of the QUT, which performed three HRV measurements shows clearly that participants taking part in a coordinated intervention program were able to improve their tension and recovery ability values significantly. Further a measurement took place based on 14 questions which helped us understand how much the HRV analysis and the program was trusted and how it influenced job satisfaction. Those relying on the measurement, and who implemented the measures of the program, compared with those who had done neither, showed overall higher job satisfaction than the others, whose job satisfaction decreased.